The harrowing blues guitar and kick drum at the start of album opener “Astonished Man” hint that A Man Alive—the fourth full-length album from San Francisco’s Thao & The Get Down Stay Down—won’t be a far cry from frontwoman Thao Nguyen’s (Thao) fantastic indie folk-rooted discography. But Thao and producer Merrill Garbus (of Oakland’s tUnE-yArDs) shatter that notion in 30 seconds when the track takes an electronic turn, before a tambourine comes in, followed by loops and a larger conglomerate of sounds than we’ve ever heard on a Thao album. 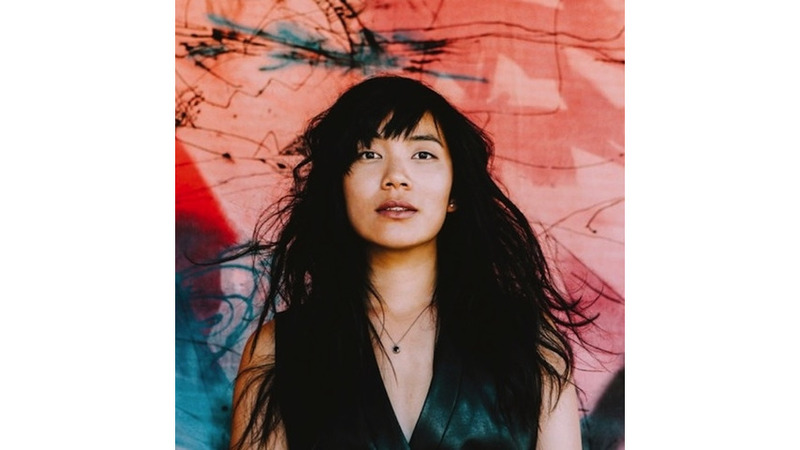 Gone are the John Congleton-produced horn arrangements and blues piano of Thao’s excellent previous release, We The Common. In their place is Garbus’ electronic organica elevating the most deeply introspective, experimental and well-formed release from Thao yet. A Man Alive is a dissection of Thao’s relationship with the father who left her and her family when she was young. “I wanted emotion, I wanted power,” the singer said. And there’s not single moment on A Man Alive when either is absent. Under longtime collaborator Garbus’ guise, there’s a newfound energy on A Man Alive. The tribal drum-laden and arresting vocal layers of “Meticulous Bird” and “Fool Forever,” aren’t a far cry from tuNe-yArDs’ output. They serve to allow Thao to breathe and flex before embarking on a number of knee-buckling lyrical trips. “Shadow what you will not carry, smash what you won’t bear/ Oh Daddy I broke in a million pieces. That makes you a millionaire.” Thao sings on “Millionaire,” exposing the pain that her absent father left her with. But the manner in which she delivers these gut-punching realizations shows solace and comfort with where her life is now, despite being broken deep inside. All the while, the woozy guitar underlying the track is a gentle reminder that Thao’s prowess stretches far beyond the dynamic voice that shines so bright on A Man Alive. The melancholy of “Guts” sees Thao resembling her previous self more than any other moment on the album, and it shows that Garbus has let Thao ease into this sonic transformation naturally; it doesn’t ever feel like she’s out of her comfort zone. “Guts” ends with Thao holding a single vocal note for 20 seconds, only for the sound to morph into a pedal-driven slide guitar; it’s fairly ridiculous. Layered vocals and a xylophone flash the Merrill Garbus school of experimentation on “Give Me Peace” and exemplify how well the pair works together. The infusion of sounds that could’ve easily been conceived in a backyard tool shed are playfully laden throughout the album. “Hand To God” culminates an honest, tempered and spectacular diatribe pointed at the pain that has shaped Thao. A Man Alive is an endearing listen and has all of the elements of a complete work—even pop-centric singles in “Astonished Man” and “Nobody Dies.” But when lyrics like “I show you the metal I am made of/ Show you exactly what you’ve been afraid of,” on “Hand To God’s” chorus come together to form the album’s underlying story set to the mish-mash of Garbus and Thao’s sound, it can break you to pieces in the most powerful ways possible.